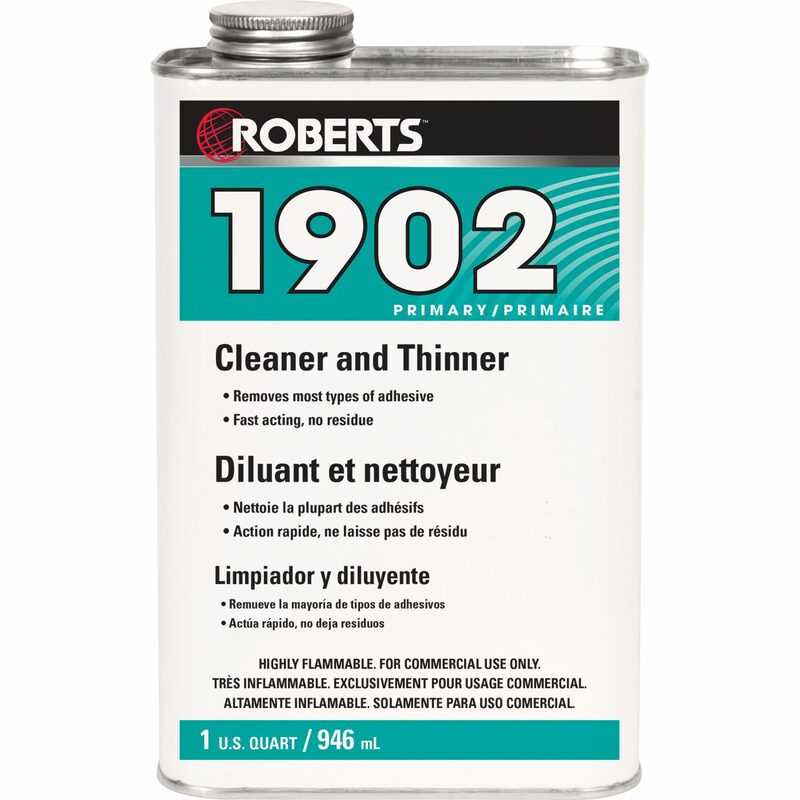 ROBERTS 1902 is a special blend of solvents that may be used for cleaning and removal of solvent-based products or to thin ROBERTS solvent-based contact cements. 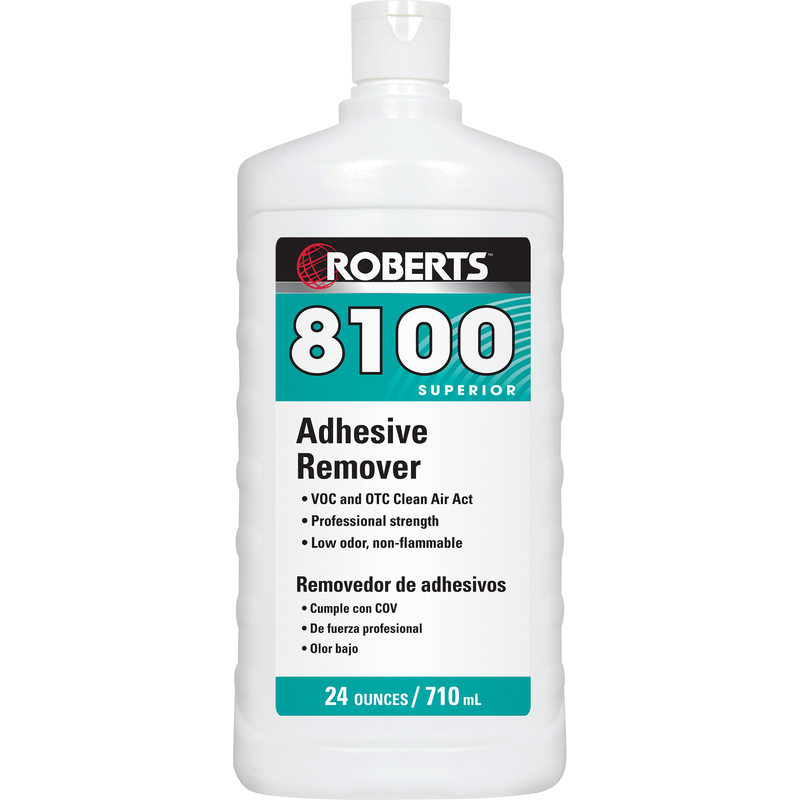 ROBERTS 8100 Adhesive Cleaner is a VOC and OTC Clean Air Act compliant professional strength cleaner for the speedy removal of most adhesives and carpet seam sealers. 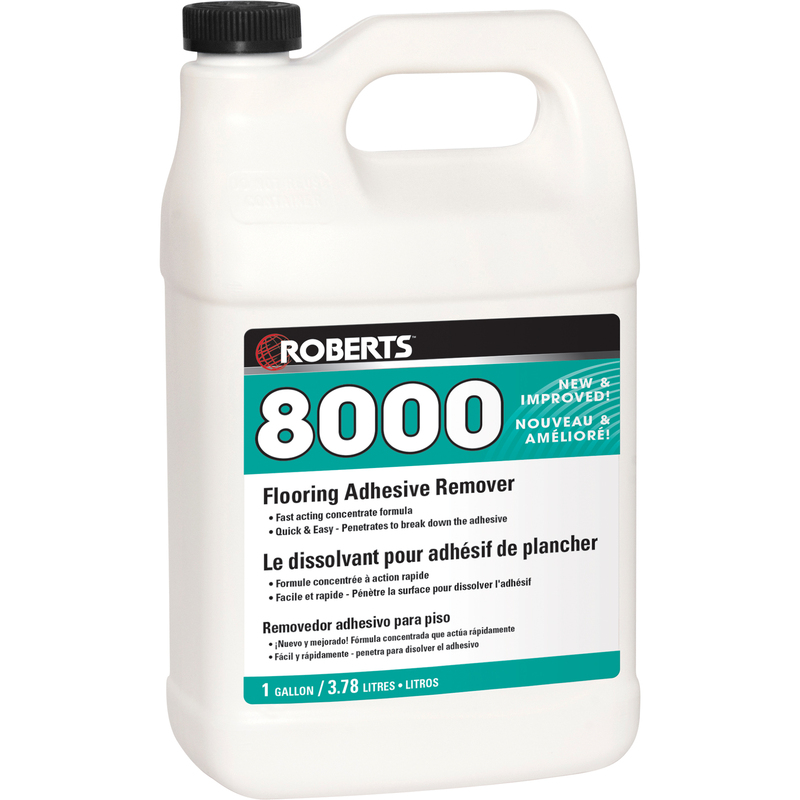 ROBERTS 8000 Flooring Adhesive Remover is a concentrated environmentally-friendly formula developed to efficiently and effectively remove floor coverings and adhesives without harsh chemicals. This commercial strength product penetrates the floor covering to break down the adhesive for quick and easy removal. 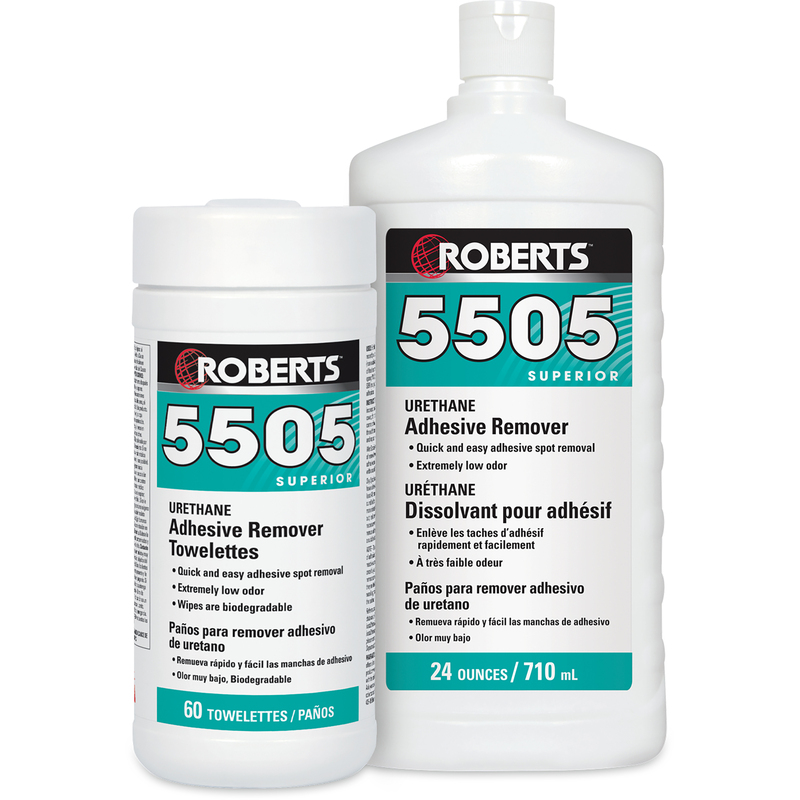 It is also ideal for stripping the toughest latex and acrylic adhesives from flooring surfaces.